Again excellent pieces of work on their own. 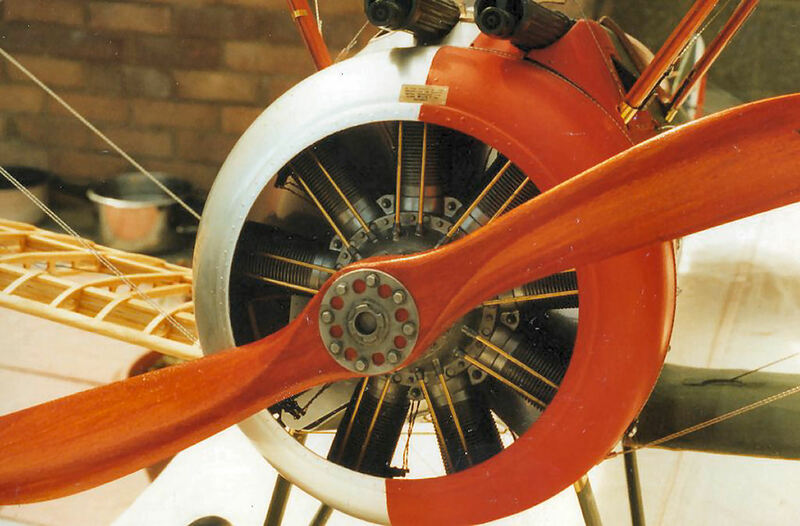 The kit supplied a plastic engine with brass push rods and copper wiring. A couple of airbrushed coats of a gunmetal and aluminium mix paint then some enamel black wash.
A good buffing up and the deal done. The prop was in the kit and a one piece pre-carved item. Just a little sanding, some stain and varnish.